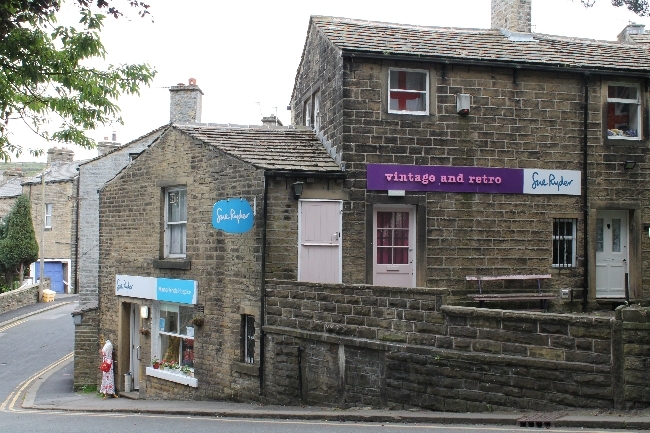 Continuing on from my last post, here are the other vintage shops I visited in Haworth. The Souk is such an interesting shop to look round - it's jam packed with things from all eras including clothes, accessories and shoes for both men and women. The prices seemed very fair but unfortunately I was not able to find much at all which was both in my size and from the decades I prefer. I spent a long time browsing inside and really enjoyed looking at the wealth of items on offer (photography was not allowed but you can view their website here). The only downside from my point of view is that I often find these kinds of shops with so much stock to be a bit overwhelming - but if you're happy to spend some time having a good look around then there is sure to be something for you. 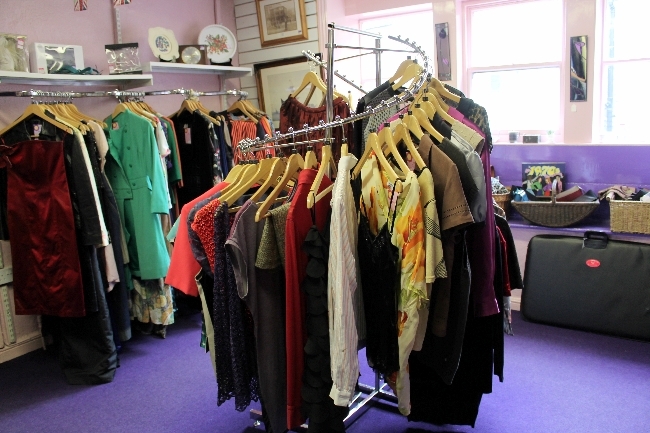 Although vintage finds at charity shops are becoming few and far between, many charity shops now own specific vintage shops where all of the vintage items that are donated end up. 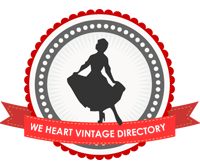 On this occasion I found mostly "retro" items from high street shops, but I've turned up gems in this kind of shop before so definitely worth a look if you're in the area. 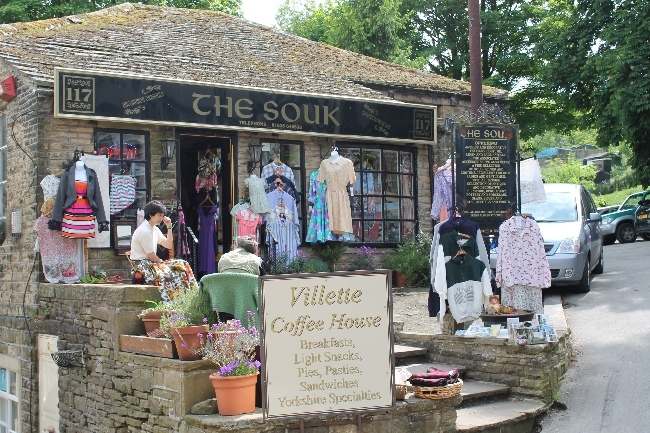 Unfortunately we visited Haworth on a day when Oh La La Vintage was closed - I was so disappointed because I looked in the window and saw lots of beautiful things. I'll make sure to visit if I visit Haworth again. 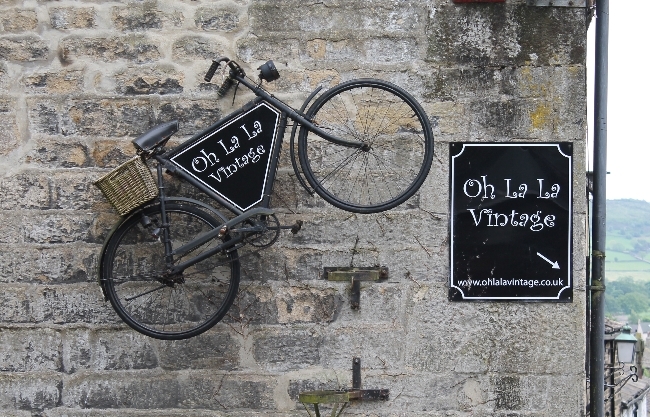 You can find Oh La La's website here and Facebook here. Ooohhh, isn't the worst? When you find a place whose prices are fair, but they have little to nothing in your size (and/or favourite decades). Hopefully if you return again there will be more that works well for you there, honey.